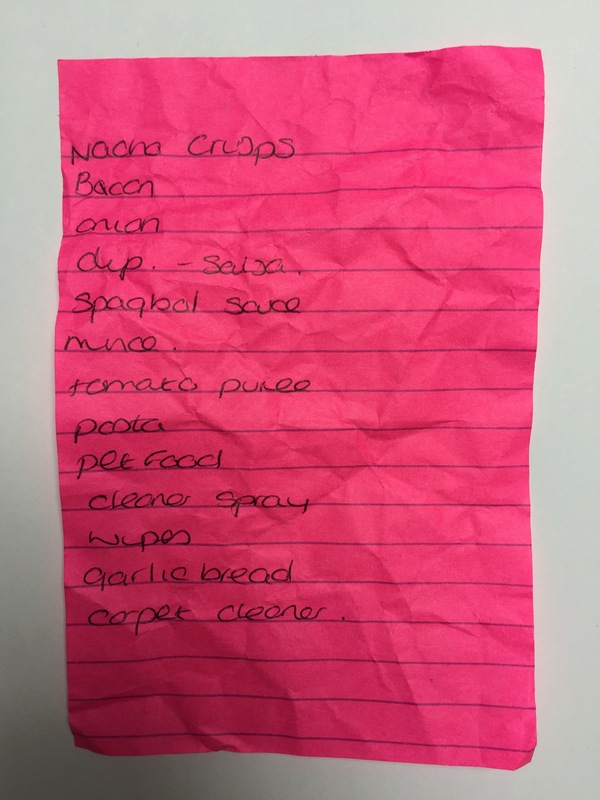 Nacho crisps, bacon, onion, dip – salsa, spagbol sauce, mince, tomato purée, pasta, pet food, cleaner spray, wipes, garlic bread, carpet cleaner. Certainly bolognese on the menu. This is pretty much a one meal shopping list with a few other bits thrown in. My shopping list paper is hot pink as well. Nice to know other people out there like to have a little color and creativity in shopping lists too. Hi Foodinbooks, you are now all set up as a contributor here. I have a great (big) list for you to look at so there should be plenty to get your teeth into. Let me know if you can see it and wish to write something?